Bits and Pieces...: It's a Crate Kind of Day! Mondays are definitely my least favorite day of the week. And the Monday after Thanksgiving is especially hard, given that I've had a wonderful five day mini-vacation. But, I get to share something fun today, so that makes this Monday a little better than usual. Remember I mentioned that I'd been working on something that I couldn't share yet? Well, today is the day I get to share. 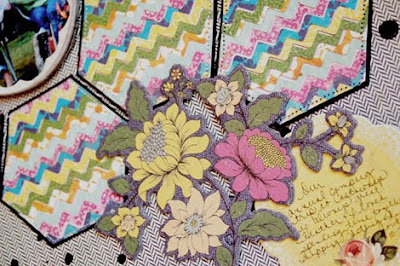 I'm the Guest Designer on the Crate Paper Blog! I was so excited when Christine emailed me and invited me to do it. As you know I love all things Crate, so getting to play with all of their goodies was such a treat. 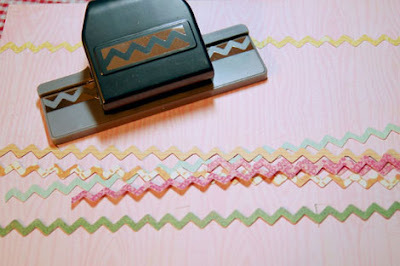 First, I used my new favorite punch and punched several zig zag strips from Random papers. 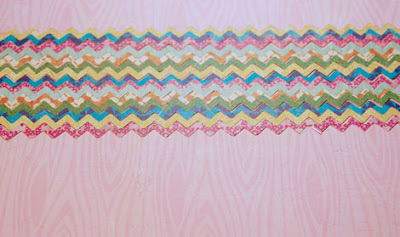 Next, I adhered them in a row and made a border about 3 inches wide. 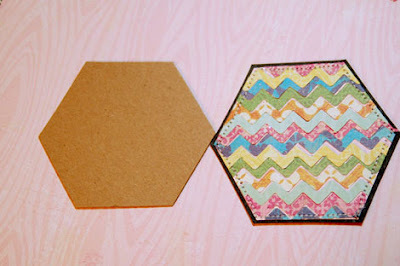 Using a hexagon pattern, I cut out three hexagons from the zig zag border. I decided to mount them on black cardstock to make the colors pop. Then I stitched the edges for added texture. 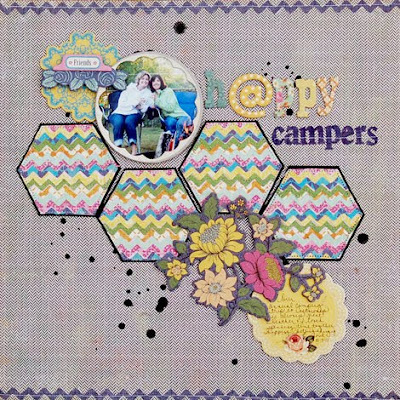 Since I wanted the hexagons to be the focus of the page, I placed them right in the center. I added some chipboard pieces and placed my photo in a round chipboard frame. It was definitely a fun page to make. And that fact that it's of my friend Heather and me on a recent camping trip (such a fun time), makes it all the more special. 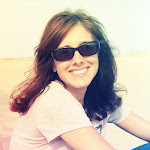 So, I'd love for you to pop over to the Crate Blog and see the rest of my creations! HUGE congrats Anabelle! And I love love love what you did with that punch! Genius! Congratulations on your guest designer gig with Crate, Anabelle! How fun! 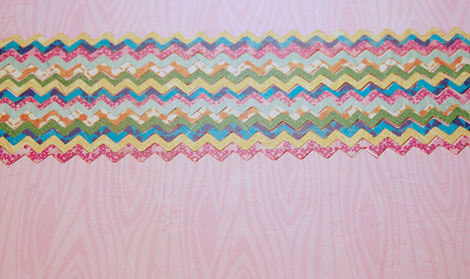 LOVE this page you created with the Random papers. 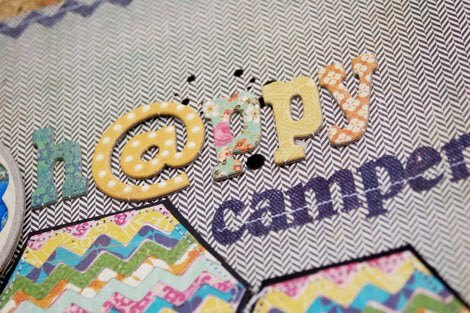 Such a fun and clever use of that border punch. I just adore the hexagons you made. SO beautiful!